The history of the Lake Champlain and St. Lawrence River Valleys is the history of the French farmers who settled the region. Tradesmen, trappers, and soldiers required a secure local foodsource that would allow them to pursue their interests, instead of spending all their time preparing, gathering, and hunting for food. Nearly 400 years ago, the Bouchers received several allotments (seigniories) in New France, which eventually became Quebec, Canada. They raised meat and work animals, grew crops, and made soap, butter, and flour – both for themselves and for sale. Wealth, respect, and additional land were the rewards for supporting the local community, but the risk was very high. Many had to flee into the woods with their livestock during conflicts. During the French and Indian Wars one ancestor, Pierre Boucher, took control of Fort Trois Rivieres after it was depleted of able-bodied men and made peace with the Iroquois, a pivotal event in the history of the province. Boucherville was named in his honor and his statue stands on the grounds of the National Assembly Building in Quebec City. The French legacy remains in the religion, language, culture, and cuisine of the province. 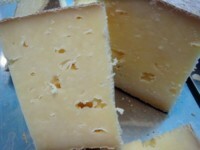 Connor Abbey is even drier and harder than our tomme, and has a slight fruity aroma due to being washed in cider beer. Both are in limited production and are only available at farmers’ market. This small-production alpine-style semi-hard cheese is aged a minimum of 6 months, becoming harder and sharper as it gets older, until it is a piquant grating cheese. 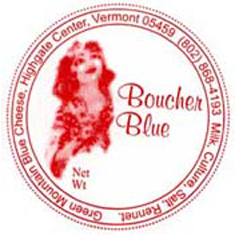 Our third Blue cheese debuted in 2010 in limited quantities. We hope to add it to our seasonal line in 2011. 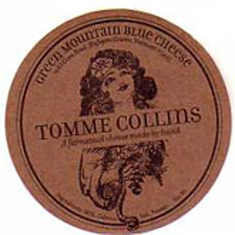 It is creamier in texture than our other Blues and has a lactic tang on the finish. 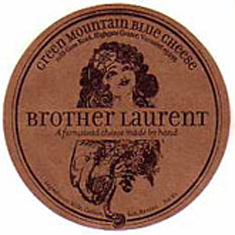 A washed-rind French Muenster-style cheese named for an uncle, Holy Brother Laurent Boucher, who made frequent trips from Montreal to the farm during his lifetime. This cheese is very aromatic, dense, and tangy. It melts well and is traditionally served over boiled potatoes. Serving suggestion: A great addition to creamy meat sauces, or at the side of a wine-poached pear as dessert. We simply eat it alone with crusty bread at the side, savoring each bite. An A.C.S. award-winner. Smooth, very creamy, and mild, with undertones of chestnuts, sweet hay, and truffles. Based on a French Fourme d’Ambert over the years it has become a true farmhouse cheese, unique to our farm. 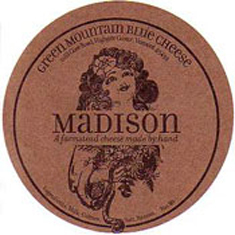 Serving suggestion: Part of an American Cheese course with sweet fruity wine: its mild character does not conflict as other, more well known blues can. You may serve either of our blue cheeses on a spoon as an amuse-bouche with a drop of Amaretto. 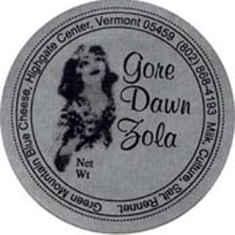 An American Cheese Society award-winner.